The definitive biography of the groundbreaking African American author who had an extraordinary legacy on black writers globally. 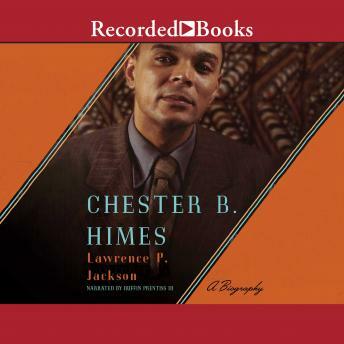 In his Chester B. Himes (1909-1984), Lawrence P. Jackson depicts the improbable life of the controversial writer whose novels confront sexuality, racism, and social injustice. In absorbing detail, Jackson explores Chester Himes's middle-class origins, eight years in prison, painful odyssey as a black World War II-era artist, and escape to Europe, where Himes became internationally famous for his Harlem detective series. Praised by Henry Louis Gates, Jr., as 'one of the towering figures of the black literary tradition,' Himes, author of the bestsellers If He Hollers, Let Him Go and Cotton Comes to Harlem, published twenty literary works over a long career, enhanced by friendships with Ralph Ellison, Richard Wright, and Carl Van Vechtern. Chester B. Himes relies on exclusive interviews and unrestricted access to Himes's full archives. Jackson restores the legacy of a fascinating maverick determined to etch disturbing portraits of American urban life that remain vivid and contemporary.